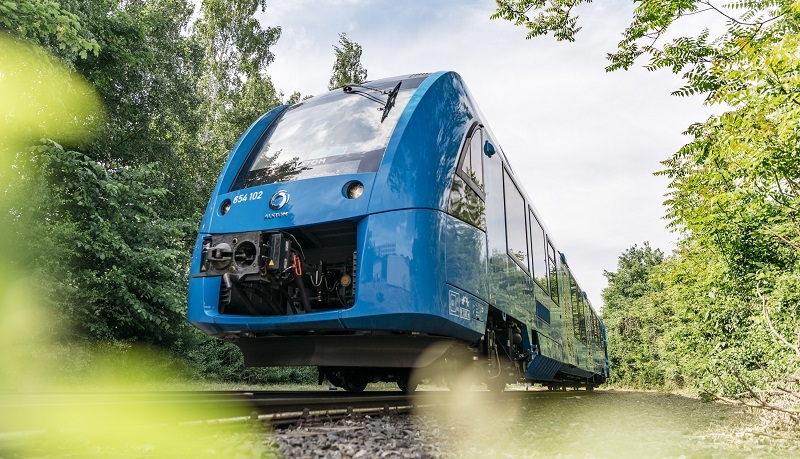 Alstoms Coradia iLint, the worlds first hydrogen fuel cell passenger train, has been granted approval by the German Railway Office (EBA) for passenger service in Germany. On 11 July, Gerald Hörster, President of EBA, presented Alstom with the certificate of homologation at the Federal Ministry of Transport and Infrastructure in Berlin. The ceremony was attended by Enak Ferlemann, Parliamentary State Secretary to the Federal Minister of Transport and Digital Infrastructure and member of the German Parliament. "A world premiere in Germany: With the approval of the German Railway Office (EBA), we are sending the first passenger train with fuel cell technology onto the tracks. This is a strong sign of the mobility of the future. Hydrogen is a true low-emission and efficient alternative to diesel. Especially on secondary lines, where overhead lines are uneconomic or not yet available, these trains are a clean and environmentally friendly option. That is why we support and promote the technology, in order to bring it to the surface, said Enak Ferlemann, the German Federal Governments authorised delegate for rail transportation. In November 2017, Alstom and the local transport authority of Lower Saxony (LNVG) signed a contract for the delivery of 14 hydrogen fuel cell trains, along with 30 years of maintenance and energy supply. The 14 trains will be produced by Alstom for LNVG's vehicle pool and will transport passengers between Cuxhaven, Bremerhaven, Bremervörde and Buxtehude from December 2021. Following this approval granted by EBA, the two Coradia iLint prototypes will enter pilot operation in the Elbe-Weser network. Passenger service is scheduled for late summer.